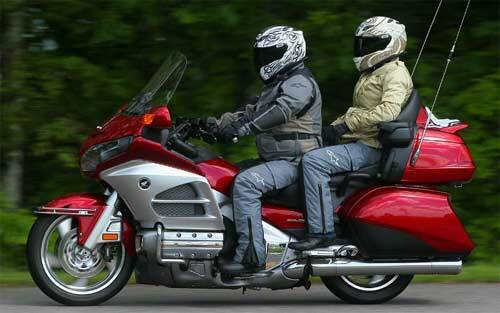 The Honda Gold Wing has always been a popular motorcycle here in the USA offices. We’ve ridden them all over the country, but these big touring bikes had fallen off the radar for a few years. That all changed when Honda revealed a new and improved 2012 Gold Wing. We had our first taste of the bike during a brief day ride in Southern California a few months back but the folks from American Honda were keen to remind us just how great their luxury touring motorcycle is by dragging us to the east coast for a long, grueling ride through the Blue Ridge Parkway. This entry was posted in General Postings and tagged 2012, Blue Ridge Parkway, gold wing, goldwing, Honda. Bookmark the permalink.